THE MAVERICK STRADA MT - Ready to Run! 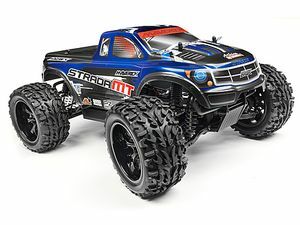 With 8 oil-filled shocks, 4WD traction and long-travel suspension, the Strada MT is the ultimate truck for blasting through all types of terrain! 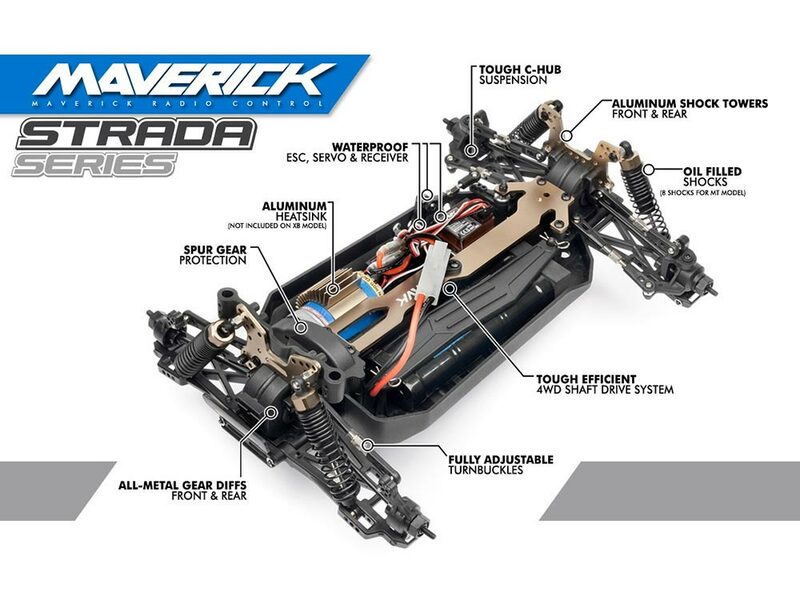 With the Maverick Strada MT, you get a powerful 4WD truck chassis with a shaft drivetrain, fully tunable racing suspension and waterproof electronics for action wherever and whenever you want it! With a cool pick-up style body, 8 oil-filled shocks and big front and rear bumpers, the Strada MT is ready for instant monster action! 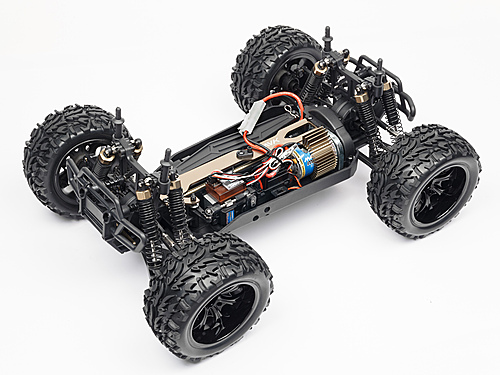 The Strada 4WD drivetrain uses efficient ball bearings throughout to give drivers maximum runtime and efficiency, and features a molded gear cover to keep dirt and debris away from the gears. Front and rear gear differentials easily transfer the motor's power to the pre-mounted tires at all four corners. The Strada MT features a moulded tub chassis that provides durability and a stable and tough platform for a strong 4WD shaft drivetrain. 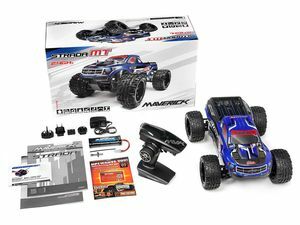 Pre-built oil-filled shock absorbers and dual-wishbone independent suspension front and rear, give you supreme confidence on all driving surfaces. The MS-22 servo controls the steering through a dual-point steering system that features an integrated servo saver to protect the servo against crash damage.